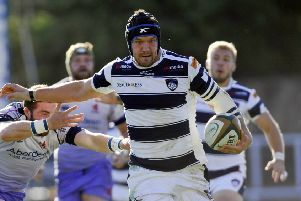 Championship strugglers Yorkshire Carnegie have strengthened their forward pack with the signing of former Ireland Under-20s lock Cian Romaine for the remainder of the season. The Headingley club, who sit bottom of the second tier with just one win from eight games, have acquired the 23-year-old from New Zealand provincial side North Harbour where he has been playing his club rugby at Kaikorai. Born in Ealing, Romaine moved to Ireland after joining the Ireland Exiles programme, signing for Connacht. He was quickly called up to the Ireland Under-20s side and he featured at the Junior World Championships in Italy in 2015. In total he gained six caps for Ireland Under-20s. After two years in the Connacht Academy, where he played his club rugby with Buccaneers, he took up the opportunity move to New Zealand to continue his rugby development. Carnegie’s director of rugby Chris Stirling said: “Cian is a very exciting prospect and someone we were keen to bring into our system. He began his rugby with Ealing Trailfinders so he knows our competition as well. He is still only relatively young as a second rower but he has tremendous potential. “He has been playing at a good standard in New Zealand and is ready to go once he arrives here at the start of November. “He began his rugby with Ealing Trailfinders so he knows our competition as well. He is still only relatively young as a second rower but he has tremendous potential.